WINNIPEG - In the past I've discussed how exercise, supplements and special footwear can rebuild knee cartilage and reduce joint pain. In addition to exercise, there are approaches one can take to help prevent the calcification of joints that contributes to back, hip and muscle pain. It is important to maintain mobility, stretch regularly and avoid sitting statically for long periods of time. There are a variety of physical markers associated with longevity and a reduced risk of dementia, including a firm grip, being able to stand up from a seated position without using your hands, and Jin Ji Du Li. Chinese for “rooster stands on one leg," Jin Ji Du Li refers to the ability to stand on one leg for 10 or more seconds with your eyes closed. According to Zhong Li Ba Ren, author of Curing Oneself is Better than Seeing a Doctor, if you're unable to perform this exercise, your balance and body have degenerated to the equivalent of a 60 or 70-year-old's – even if you're under 40. Regardless of your chronological age, it's also believed that practicing this stand regularly (eventually with eyes closed) can help reduce the risk of developing Alzheimer's disease, hypertension, high blood sugar and spinal diseases. Muscle strength and proprioception (the body's ability to sense motion and the position of joints) are critical factors in our ability to balance, allowing for precise, controlled movements and helping to avoid injury. When these systems are functioning properly, our involuntary reflexes work to maintain balance and posture at all times and help prevent falls that can cause fractures. Today's sedentary lifestyle often includes sitting still for extended periods of time, and our bodies adapt to these static positions. This lack of movement gradually causes our ligaments, tendons and the covering of our muscle fibers (fascia) to shorten and calcify, a process called "adaptive shortening". The symptoms of adaptive shortening include hunched shoulders, difficulty straightening the torso when standing up, joint and back pain, muscle soreness, cramping, poor posture and difficulty squatting. Immobility from stiffened joints can lead to poor circulation, tired muscles and even injuries. It's critical that we move our joints through their entire range of motion daily to prevent deterioration. According to Dr. James Levine of the Mayo Clinic, “sitting is the new smoking”, and many individuals are looking to height-adjustable standing desks as a solution. Some people are even installing treadmills under their desk so they can walk while they work. These practices are well-intentioned, but may not be particularly effective. Researchers in Finland compared a group who worked while standing to another that worked seated and found insignificant differences in the number of calories the groups burned. While there was a decrease in neck and shoulder strain for those that stood more often, there was also an increased strain on their feet and legs. One of the easiest ways to counteract the effects of adaptive shortening is to avoid sitting for more than 30 minutes at a time, taking breaks to walk around, stretching, and sitting in an "active" or "dynamic" chair that is always in motion. 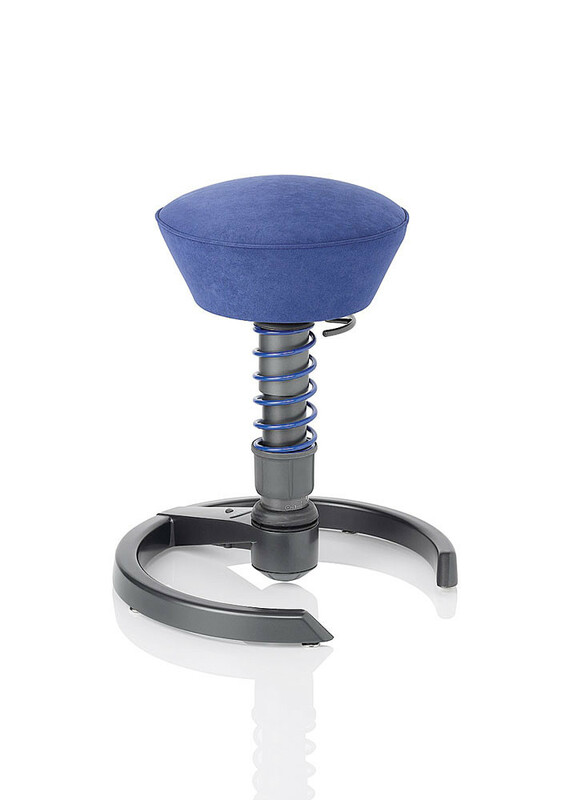 Examples of active chairs include Swopper, Muvman, and 3Dee, developed to help prevent and treat back pain. These chairs slightly rock, sway and tilt, engaging core muscles and allowing the body to continually move rather than stay locked in a static position. Active sitting brings many benefits; one large study found nearly 70 per cent of participants reported improvements in productivity, health, and well-being. While traditional chairs can contribute to fatigue and damage to the spine over time, sitting on an active chair is energizing and fun, and helps to strengthen muscles, relieve tension and ease pain by boosting circulation between intervertebral discs. If you're frequently looking at a smartphone or monitor, it's important to change your point of visual focus every 10 to 15 minutes, as the eye muscles can be negatively affected by continuously looking at a fixed distance for long periods of time. Using products that counteract "text-neck" and correct posture can be beneficial as well. Upright GO and the ALEX Posture Tracker automatically alert you when you are slouching, and help you form better posture habits. In addition to being mindful of your how long you're seated (and what you're sitting on), therapeutic footwear can make a significant difference in mobility and balance, helping to ensure you're working your foot, leg and core muscles while easing joint strain and increasing circulation. I also recommend stretching exercises designed to counteract adaptive shortening, including the seated leg cross-stretch, and the piriformis stretch that can ease back and hip pain and improve range of motion. Sitting in a static chair causes the piriformis muscle to become inflamed, putting pressure on the sciatic nerve underneath it. If you feel pain in the sides of your buttocks that intensifies when you're seated, you may have Piriformis syndrome. For more information on stretching, I recommend the books Stretching by Bob Anderson, and Relax Into Stretch by Pavel Tsatsouline. While it may not be the most exciting form of exercise, daily stretching can help correct slumped shoulders and reduce back pain. Proper nutrition should not be overlooked. Muscle cramps that exacerbate back and hip pain can be caused by low blood sugar, metabolic syndrome, dehydration, and mineral deficiencies (particularly magnesium, potassium or calcium). Due to individual variations in the absorption of vitamins and minerals, some people need much more of certain nutrients than what's listed as the estimated average requirement. These levels are set as recommendations to prevent deficiency diseases, not to ensure optimum health and wellness. As we age, many of us produce lower levels of digestive enzymes and stomach acid, which can inhibit absorption of a wide range of macro-nutrients (proteins and fats) and micro-nutrients (vitamins, minerals and essential fatty acids). We can counteract the effects of aging and the pain associated with adaptive shortening by stretching regularly and standing up and walking more often. Nutrition, exercise and active sitting can all help reduce pain while improving balance, flexibility and our ability to perform the basic activities of daily life. By Nathan Zassman, the owner and president of Aviva Natural Health Solutions.